Buy Patio sealers in many different finishes. Require Patio cleaning and sealing services ? 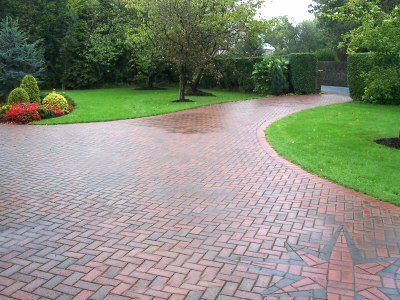 Have your patio cleaned and sealed by a professional, please "call us"
We offer a wide range of sealers for all kinds of tiles, man made stone, natural stone, grout, brick and garden paving. Our sealers have been recommended by the guardian and work wonders with just one coat that can last up to 15 years. We offer specific stone sealers for marble, slate, travertine, sandstone, granite and limestone. We also offer general sealers for when you want a specific look. Buy online 24/7 and pay with Paypal, Mastercard and Visa debit. 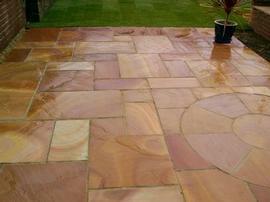 We offer a wide range of stone sealants and cleaners to seal your natural and man made stones. Our popular range of ultimate sealers can be found in our store. If you want to do it yourself, go for top-quality sealers that need only one coat. Ultimate stone sealers (£39.99 now 25% off from www.sealer-seal-sealant.co.uk Seal all natural and man-made stone surfaces. These type of sealers are made from polyurethanes or acrylics. These sealers are designed to sit on the surface of the stone and can be used to change the look or slip resistance of the flooring. These sealers are effective at stopping stains but they tend to wear out very quickly, especially on high-traffic areas. It is important to also note that these sealers are not breathable and are not really effective against salt attack, such as efflorescence and spalling, so for greater protection we would advise impregnating sealers. Penetrating sealers use siliconates, fluoro-polymers and siloxanes. Theses sealers are quite similar to topical sealers, but will penetrate the stone a little deeper in order to anchor the sealer to the surface. These sealers will change the slip resistance of a floor, and will offer some protection from surface spills, but just like topical sealers will not last very long at all and will not protect against salt attack, such as efflorescence and spalling. Impregnating sealers use silanes or modified silanes. The reason why impregnating sealers are used by professional companies is because impregnating sealers penetrate deeply into the material, deep enough to repel water or oils from within the material. Some modified silane sealers impregnate deeply enough to protect against salt attack, such as efflorescence, spalling, picture framing and freeze-thaw spalling. Only impregnating sealers will protect against weathering and traffic and will offer a more long term solution for the protection of stone. We offer a wide range of sealers for all kinds of tiles, man made stones, natural stones, grouts, bricks and garden paving. Our sealers have been recommended by the guardian and work wonders in just one coat that can last up to 15 years. We offer specific or general sealers. "Excellent binding and protection product for stone and lime. My building is listed and I can only use quality products. Technical advice was accurate and I rang in the evening and I had an instant response even on a Sunday. A satisfied customer. Well done." Distributed in the UK England, Scotland, Ireland and Wales.